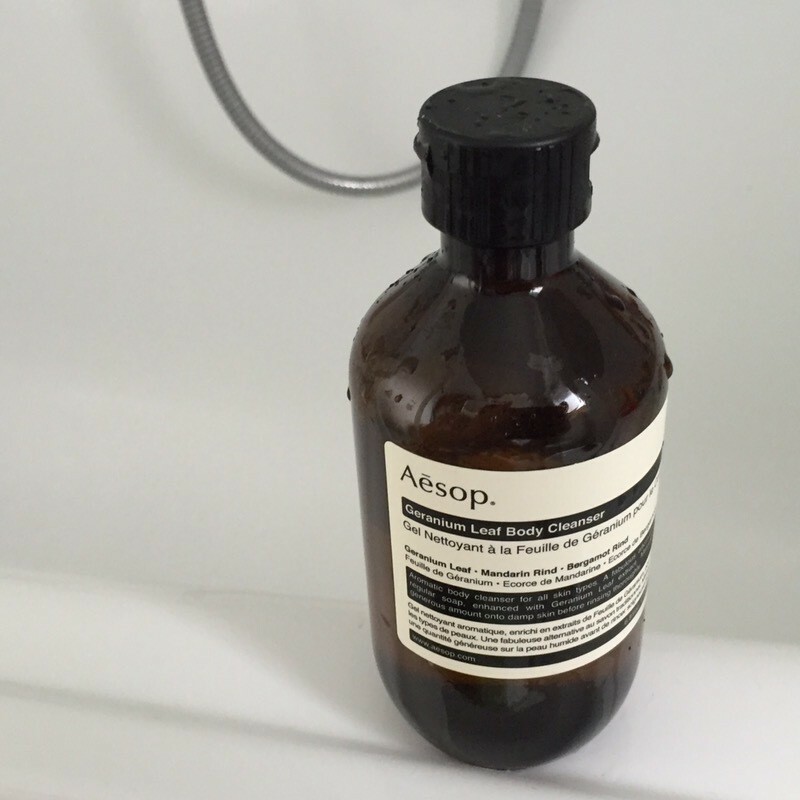 Aesop is an amazing brand with best-in-class products. This month we are highlighting one of the brand’s best seller: the Geranium Leaf Body Cleanser. Cleaning your skin is one of the basic beauty rituals you can do. 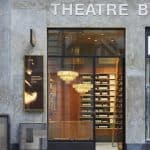 Aesop became expert in different beauty treatments, cleaning is a best-selling area. 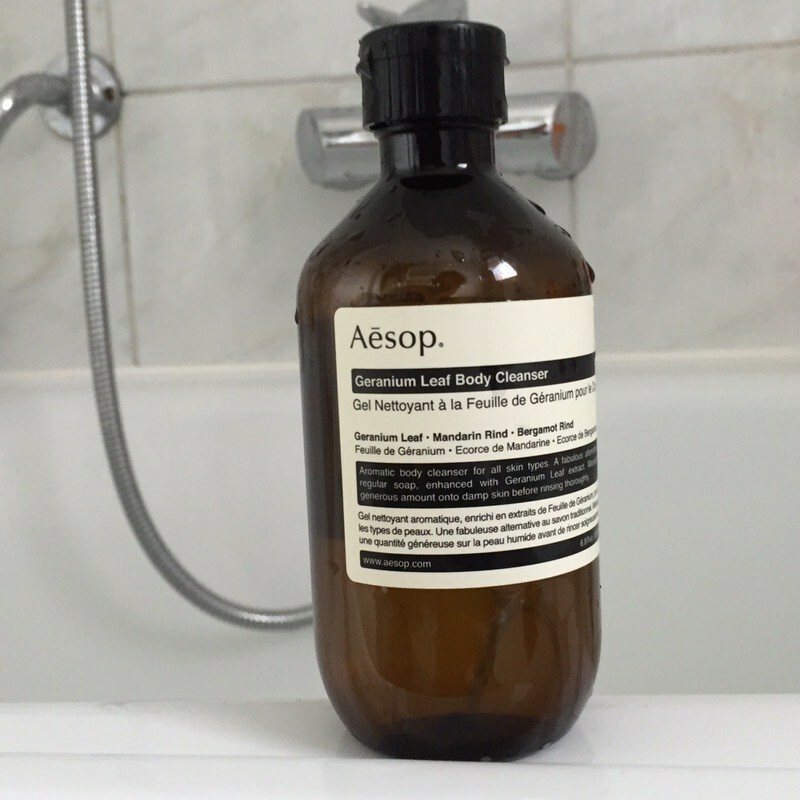 With the Geranium Leaf body cleanser, Aesop gently removes grime, banishes odour and leaves skin beautifully scented and refreshed. Its formula finds the perfect balance between a perfect cleaning and the respect of your skin nature. Pelargonium Graveolens is a geranium extract used in cosmetics and personal care products as a fragrance ingredient. It is cultivated in large numbers in South Africa, and known for its rose-like scent, although it is also used for other smells it imparts, including citrus, mint, coconut and nutmeg, as well as various fruits. It is sometimes known as rose geranium. Pelargonium Graveolens has other skin care properties as well. This ingredient is known to create a balance between oily and dry skin by balancing the production of sebum; this balance assists in boosting and improving the elasticity of the skin. It also stimulates the lymphatic system, releasing excess water that may be retained in the tissue. This may not only prevent cellulite, but can also relieve swelling. Pelargonium Graveolens also has therapeutic abilities that can calm irritated skin, clear acne, and heal bruises, burns, cuts and eczema, due to its astringent, antiseptic, tonic, antibiotic and anti-infectious properties. It is a truly small miracle of nature. The texture is in a gel look-like base which makes it modern and adapted to a “in the shower usage”. The scent is sparkling green, like a fresh experience of nature. It is adapted to women and men and most of the skins will get a great result. It is a great kick-start in the morning to help you level-up your energy. It creates a great ambience in the bathroom, spa-like. There are 2 packaging volume: 200ML and 500ML. The bigger container comes with a pump, which allow you not to carry the bottle in your hands. 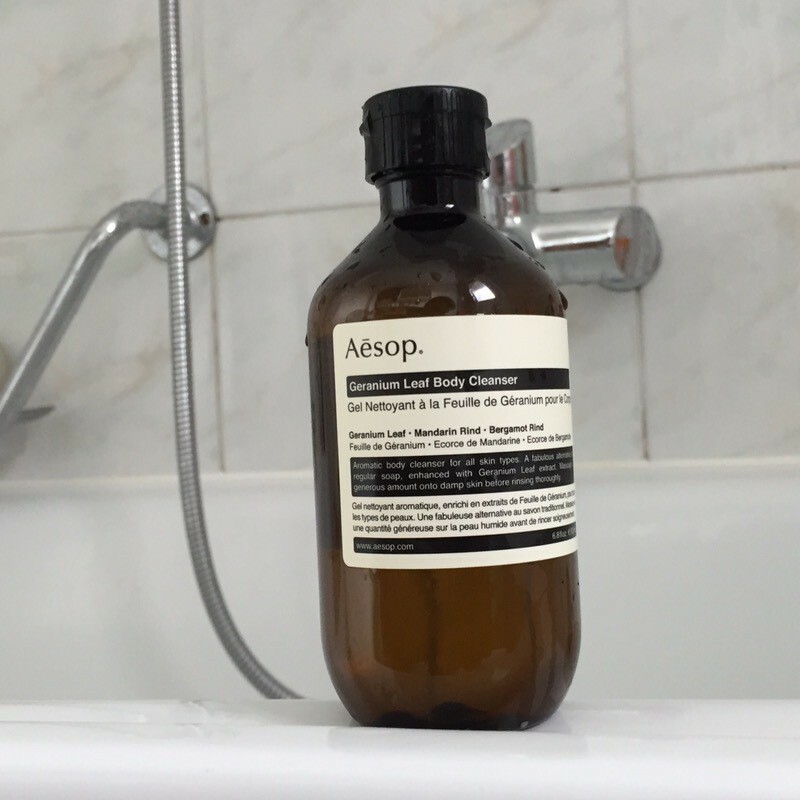 Aesop takes the best of everything in order to make a reasonable, respectful and efficient product that will make your daily life better. 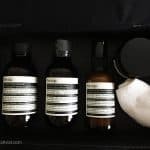 Info sourced at Aesop official communication release, website, official online retailers like Mr.Porter, wikipedia, Amazon and Dermaxime.com. All content is copyrighted with no reproduction rights available. Images are for illustration purposes only.